As a supplier of a large range of wrestling mats, Direct Mats has you covered when looking for new training or competition mats for your gym or studio. Here at Direct Mats it doesn’t matter whether you need a single wrestling mat or multiple mats, we can supply you with what you need. Our interlocking wrestling mats are available in three different thicknesses which allow you to purchase the mats you need for your training. As the different thicknesses are used for different activities, it is important to understand your needs and requirements before purchasing. 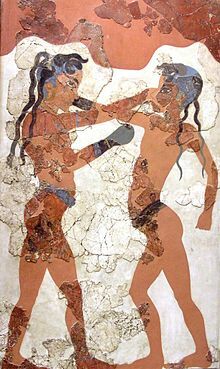 Wrestling is a centuries old sport, utilising grappling techniques such as throws and takedowns; it is therefore essential to have a safe area for training and competition purposes. To ensure support and minimize injuries and muscle fatigue, wrestling mats should be at least 40mm thick. They are often made of EVA foam like our jigsaw mats or compressed foam encased in a durable vinyl outer, like our tatami mats. What is a Wrestling Mat? A wrestling mat is a single mat or a set of mats used in wrestling training and competitions. Our wrestling mats are made from EVA foam, an expandable foam that helps to absorb impacts from falling and jumping as well as minimising muscle fatigue. Here at Direct Mats our wrestling mats utilise a jigsaw system where each mat piece can interlock with another. Have you been looking for wrestling mats but just can’t seem to find one that fits the space you have? Our interlocking wrestling mats are perfect for small and large spaces. You simply purchase the mats, and then you can join as many or as little as you need to fit your space. The interlocking jigsaw system offers more stability and they are easy to assemble, disassemble and store. The wrestling mats available from Direct Mats come in three different sizes: 20mm, 30mm and 40mm. They are 1m x 1m in size, and perfect for any space. We recommend the 40mm mats for wrestling activities as they provided the best support for activities that require falling or rolling on the floor, or grappling activities. We can also supply 50mm wrestling mats on special order. Our 20mm and 30mm mats are a great choice for warm ups and cool downs or for practicing movements where there is little chance of falling or need for rolling. As well as wrestling, our interlocking mats have many uses, and are often employed across the martial arts field including in judo, karate, kick boxing, kung fu, akido and more. They are also used in gymnastics, yoga and Pilates. We also have a range of tatami wrestling mats available which offer added durability. Here at Direct Mats, we endeavor to be the most economical supplier of interlocking wrestling mats and tatami wrestling mats across Australia. Should you come across the same mats at a cheaper price, we promise to do our best to beat any reasonable quote. We’d love to hear from you. Contact Direct Mats before making your purchase from another supplier; you certainly won’t be disappointed in our quality range.